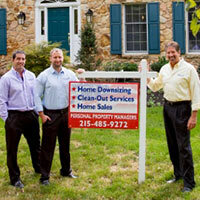 We are Home Downsizing and Home Cleanout Service Experts servicing Pennsylvania and New Jersey. If you are a property owner or the executor of an estate and need to move, sell your home, clean out your house or have an estate sale we can help. We provide you a one-stop solution. If you are located out of state or out of the area where you home is located you know how overwhelming, exhausting and physically demanding this process can be. We can help. Our single source solution provides you with total peace of mind. As licensed realtors and certified Senior Real Estate Specialist, we can help you sell and maximize the value of your home and can handle everything relating to your move. We handle all your home and property content downsizing, de-cluttering, content liquidation and estate sale needs. We can donate, move or help sell your home contents. 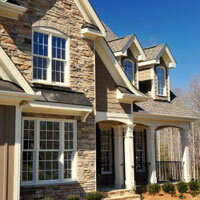 Our goal is to help you obtain the highest value of your home. We provide special 2019 best-in-class portfolio of services to assist you. We proudly service Pennsylvania and the counties of Bucks, Montgomery, Philadelphia, Delaware, Chester and the Main line. In New Jersey we service the counties of Hunterdon, Mercer, Monmouth, Morris, Middlesex, Union, Ocean, Burlington, Essex and Somerset. We also offer discount real estate services via our association with EveryHome Realty. Learn more about Personal Property Managers from our recent News Stories. We begin by meeting with you personally. This allows us to understand your personal needs and for us to develop a tailored solution to meet your individual goals. 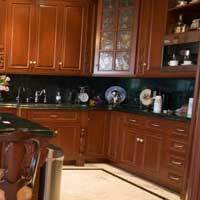 We offer extreme cleaning and extreme home cleanout services, removing contents from hoarder homes to multi-million dollar homes. As certified Senior Real Estate Specialist, we then conduct a comprehensive market analysis, which will help give you a feel for the value of your home, your contents and their value. We then will evaluate the contents of the property with you to ascertain what you wish to keep, give to friends and family, donate, shed, discard or move to your new home. A full inventory is done at this time and is sorted based on your direction to us. For items of value, we can facilitate an Estate Sale. We can assist in creating a floor plan for items going into your new home and help you move, unpack and organize. Lastly, we can assist in a final cleaning of your property as part of our home downsizing and de-cluttering process, which is all geared to help you sell your property at the maximum value. In addition to home downsizing and clean outs, we can help sell and liquidate all your household contents We work with you to identify which items you wish to sell, donate or dispose of. Together we develop realistic fair market value price points for all household contents. We even develop special website pages to market your contents. As your asset liquidator, we have found that prospective buyers feel that there is a greater perceived value when a professional estate liquidation firm conducts your household estate sale. For more information on our estate sale process, please click here.